How the body copes with hormonal change depends on how well the systems concerned with hormone production and breakdown are functioning. The parts of the brain that regulate hormone production may take time to adjust to the confusing signals when oestrogen levels drop causing surges of stimulating hormones; the liver may struggle to ‘mop up’ the by products of fluctuating hormones; the adrenal glands may be slow at adjusting to their increased role in oestrogen production too, especially if stress has been a feature throughout life (when the ovaries stop producing it, the adrenals help out). Its easy to see how such widespread involvement might cause so many unpleasant symptoms. Oestrogen production depends on sufficient healthy fats so diet can be important too. Many women today are keen to try natural alternatives to HRT and Herbal Medicine really comes into its own with hormonal issues with an excellent track record of success. For some people simply taking common over the counter herbs may control unpleasant symptoms. Sage and black cohosh in particular both have a reputation for helping with flushes. More often though, the contributing factors need to be addressed and other herbs that support the liver, adrenal glands, thyroid, digestive system and nervous system may provide a more rounded treatment giving better results to the patient. 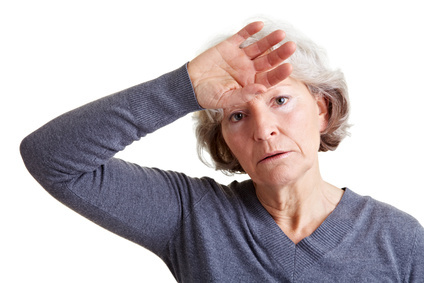 If you think herbal medicine might help you with menopause, or any other health condition please ring 01303 242838 for a no obligation, informal chat.